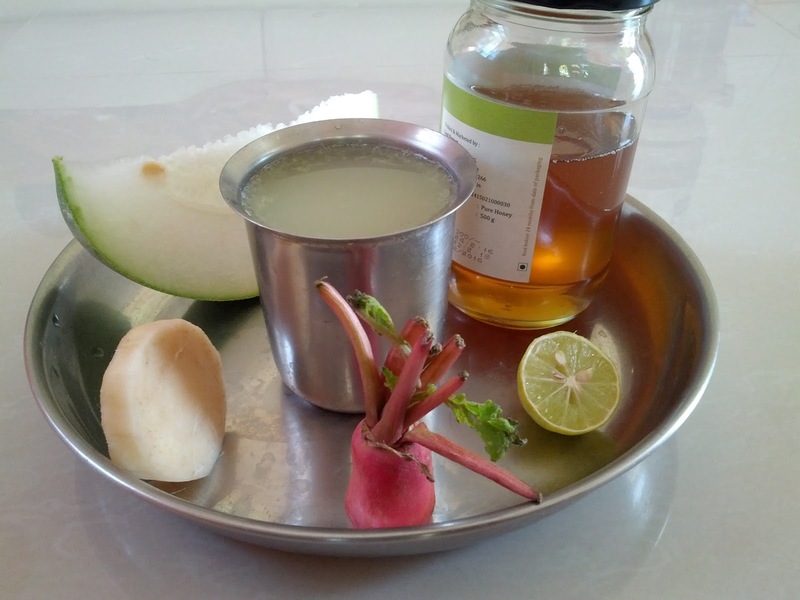 Panchatcharam is a juice prepared with 5 ingredients. Follow the exact measurement of each item to get the exact taste of Apple juice, else the juice will not taste great. First prepare the extracts of ash gourd, banana stem & radish separately. Then mix all 3 juices together. Mix the honey finally, stir well and drink.